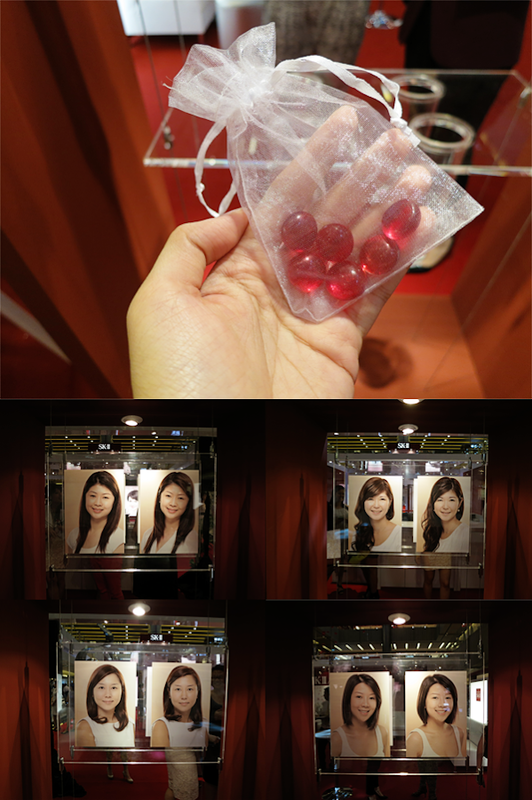 Three weeks back, I headed down to Paragon Atrium for the launch of the newly-enhanced Cellumination regimen. 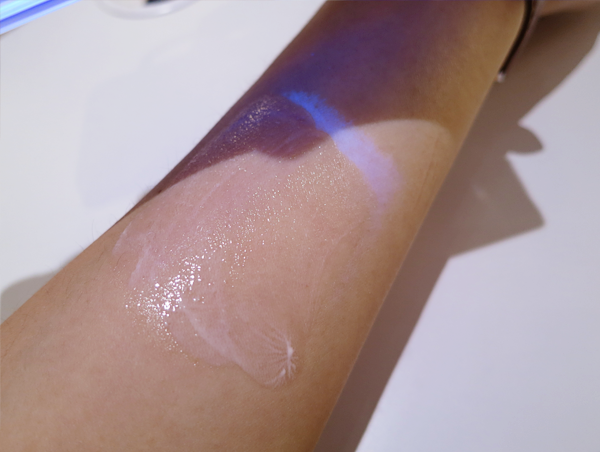 Besides the Cellumination Essence EX, it now includes the Cellumination Day Surge UV. The whole concept behind this regimen is to allow us to achieve an aura bright complexion, as if we were wearing light foundation. The Cellumination Day Surge UV strengthens the benefits of your night skincare regimen by protecting and treating your skin during the day. This is going to sound a wee back technical but for those who are interested... SK-II research has shown a strong correlation between balanced red, green and blue (RGB) levels found throughout our skin and the evenness of 'light' transmitted from within, paving the way for new heights in skin radiance and aura. When our skin's RGB variance is high, it reduces our skin's aura and contributes to skin damage. The only way in which we can prevent this is to keep the effects of external and internal stresses at bay. Damage done during the day lasts into the night and so, affects the efficacy of our night skincare regimen. Hence, the Cellumination Day Surge UV was developed with a new active complex Aura Bright Cocktail D to target and normalize the RGB variance, whilst fighting damage caused during the day. The top photo features the entire Cellumination range. Valerie Lim, Miss Singapore Universe 2011, was there to grace the event. 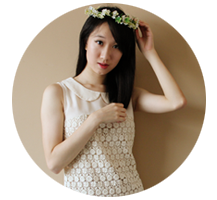 Earlier during the month, she tested the products only on half of her face! Juliet went up close and personal to identify the half which she tested on and could tell the difference immediately! And here's the Cellumination Day Surge UV! When we arrived at the event, we were each given a stamp on our arms. 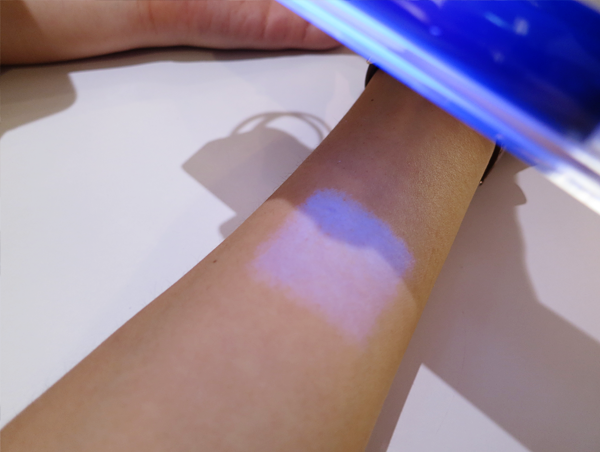 This stamp mimicked the damage caused by UV rays and could only be seen under the UV detector. 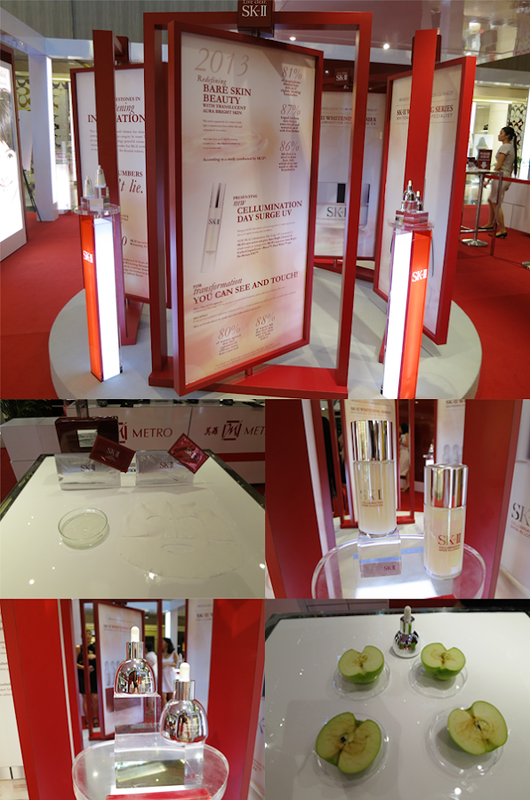 SK-II's Cellumination Day Surge UV ($134) is available at all SK-II counters from March 2013. It is recommended for day use as a moisturizing emulsion.